Every year average Americans pay dozens of different types of taxes, and yet many of our politicians are very open about the fact that they want to raise rates even higher and invent even more ways to bleed us all dry. Someday historians will look back and be absolutely amazed at how stupid we were. We have the most complicated tax code in all of human history and at this point the federal tax code is more than four times as long as the entire collected works of William Shakespeare. In many places it is so incomprehensible that nobody actually understands what it means and the entire thing is absolutely riddled with loopholes from the beginning to the end. Trust me, I used to study this stuff. Nobody could ever read the entire thing – it is close to four million words long. But that is just for federal income taxes. 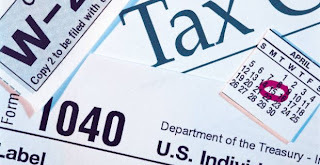 We have a number of other taxes taken out of our paychecks such as state income taxes, Social Security taxes and Medicare taxes.